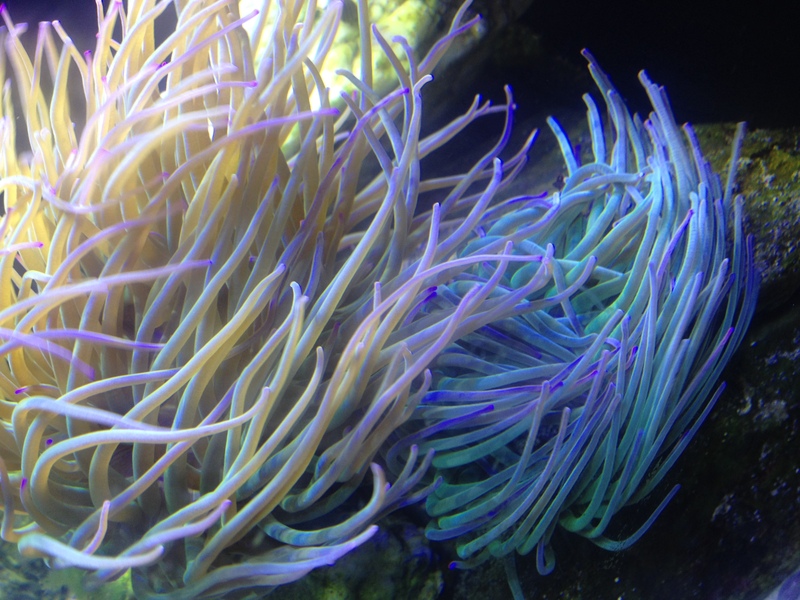 I started this blog mainly to document keeping a temperate marine aquarium; browsing back I see that that was more than four years back already! (see this introduction). Over time, I became more passionate about rock pooling, snorkeling and diving, specifically about seaweeds and photography, and blogged less and less about my aquarium. 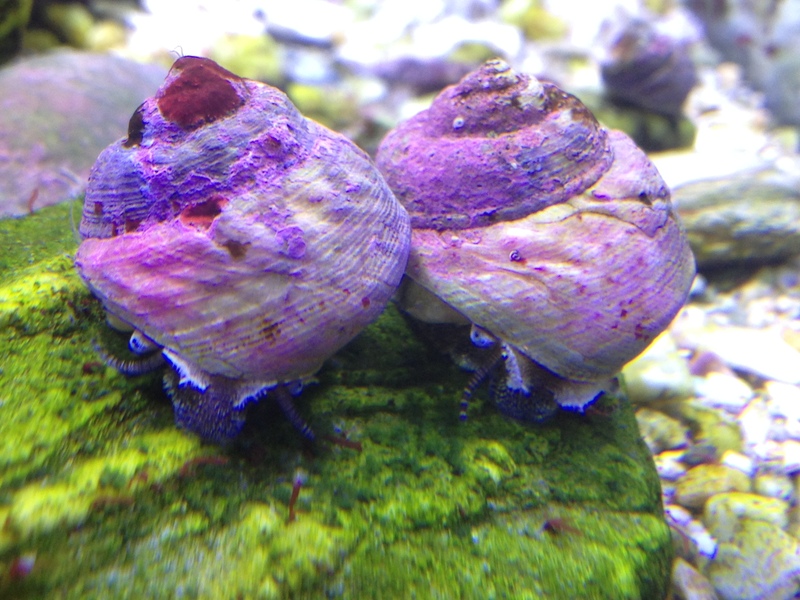 The aquarium had its ups and downs, as coldwater aquariums tend to be a bit more trial and error (coldwater marine aquariums do not consist of relatively slow growing stony corals as in tropical marine aquariums and house much more (higher order) diversity than tropical or cold freshwater aquariums). Also, I am a lazy man. The last aquarium update was from last November and the aquarium did not look that great, but I have lately spend more time on it and it looks much better now, so here a quick new post. I bought an upgrade Red Sea Max pump (much better) a while back, and more recently a Tunze 9001 skimmer (MUCH better than the stock skimmer, removed years ago as it was so noisy). The only problem is that the pump is so powerful that the water does not get sucked fast enough in the back compartment and it starts to run dry, I need to think how to fix that. The water is very clear though. I only have Cornish suckers as fish at the moment, and it might not be safe to add other fish as there are quite a few anemones at the moment. 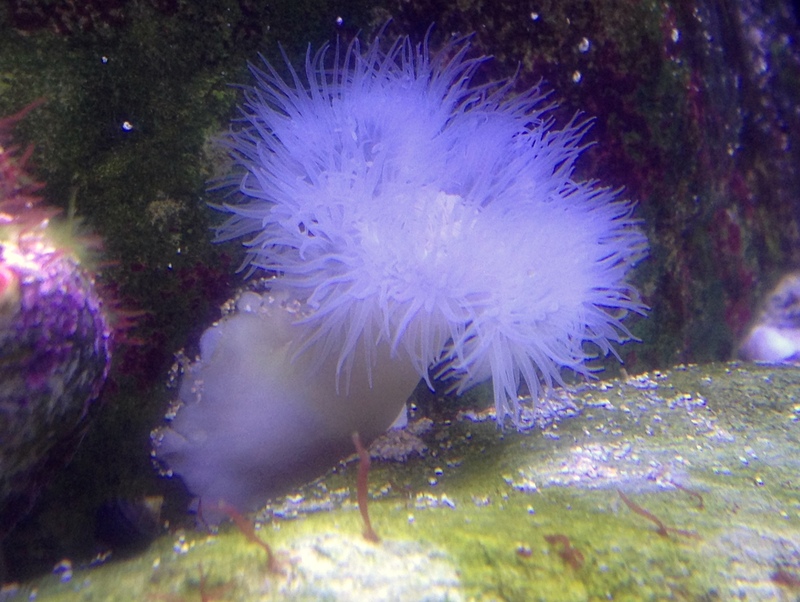 I have collected a bunch of Daisy anemones Cereus pedunculatus whilst diving (these are very common here in Flushing). I feed all my anemones small pieces of defrosted prawn by hand, these little ones respond very well to that and I hope they will grow much larger. I also collected some more Redspeckled anemones Anthopleura balli (below). David Fenwick kindly gave me an oyster with many Jewel anemones Corynactis viridis attached (crappy pic, sorry). 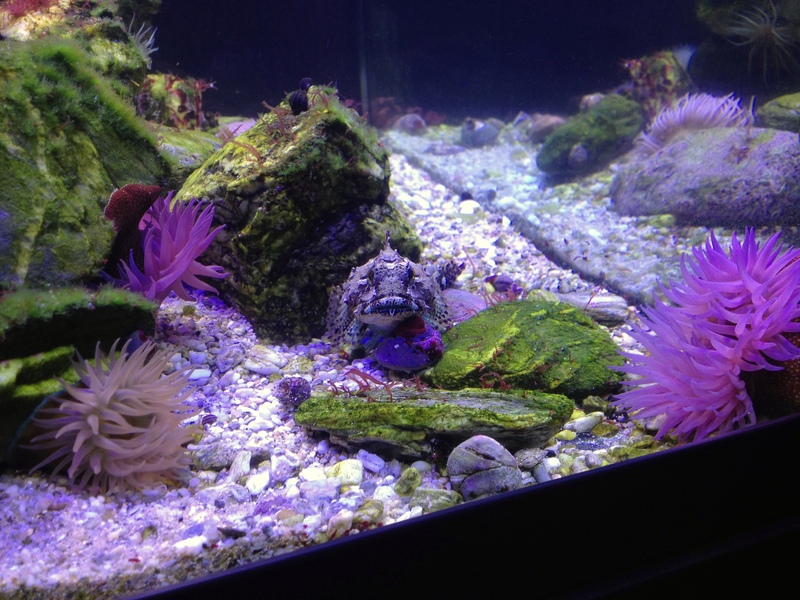 These did relatively well for a while when feeding fine dry foods (sold for reef aquariums) but they were bothered by the squat lobster and cushion stars and I put the oyster back in the sea (I was also worried the oyster might die and cause a huge nitrogen spike). As an experiment I removed a few jewel anemones with a scalpel and superglued them to frag plugs but they did not survive. Ah well, that might have been a first, so worth a try. With a smaller, dedicated aquarium with better filtration (to deal with many small food particles) it must be doable to keep these. At the moment there are several species of gastropods, a cute little clam, mussels, Snakelocks- Dahlia-, Beadlet- and Strawberry anemones, a small Hairy crab, Cushion stars, green urchins and a Common starfish. 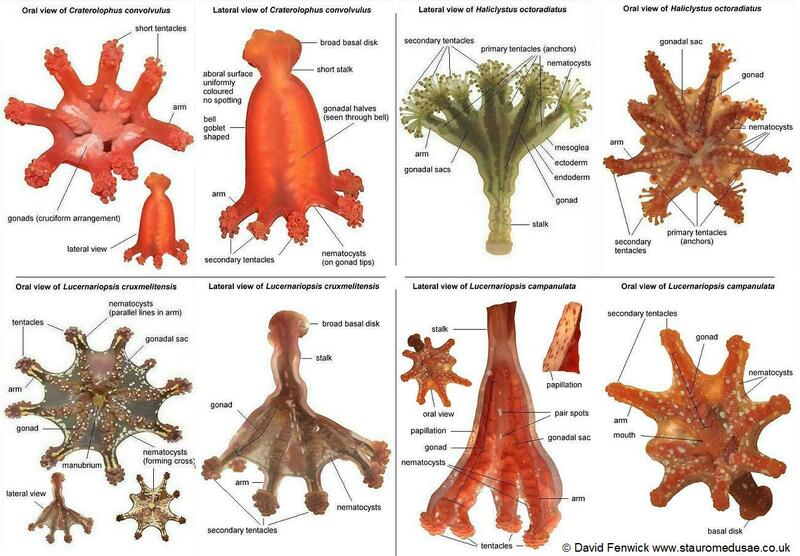 The echinoderms seem easiest to keep of all. I actually put the common starfish back as it was picking of all my snails which I need to keep algae in check (and are interesting in their own right of course). I added a Cushion starfish with six legs though (‘Dave’). Hopefully I can find some more anemones when diving over the summer and who knows experiment with seaweeds again. Long time no post, just been too busy! The aquarium is doing reasonably well at the moment, especially considering the fact that I have not done any water changes since the last update and I have added a bunch of new organisms. 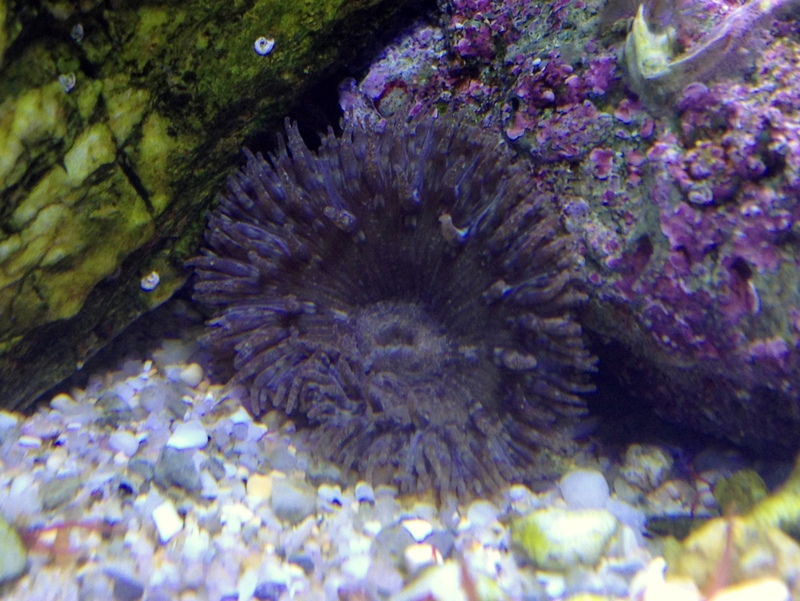 I have added two Beadlet anemones Actinia equina. They are a dullish brown (except for a nice blue band around the base); I have not found the bright red or green individuals yet. Very similar but more striking are Strawberry anemones Actinia fragacea of which I have collected three. They are voracious, I could easily feed them a shrimp a day. The same goes for the Sea scorpion. I am afraid of sticking my hand in now as it comes after me! Time to let this buddy go. This will also give me the opportunity to add some other things such as squat lobsters. I have taken a break from experimenting with seaweeds and am focusing on anemones instead. I have added a bunch of small Plumose anemones Metridium senile that I scraped of the side of a pontoon. Weird fellas, they can fill up with water to be quite large, or just reduce to a crumpled little pancake. I have four white ones; I could only find very small ones of the orange variety and these were all devoured by Cushion stars (interesting). I’d like to have a large orange one as well, but I have to wait half a year until I can go diving again (they are very common in deeper water). 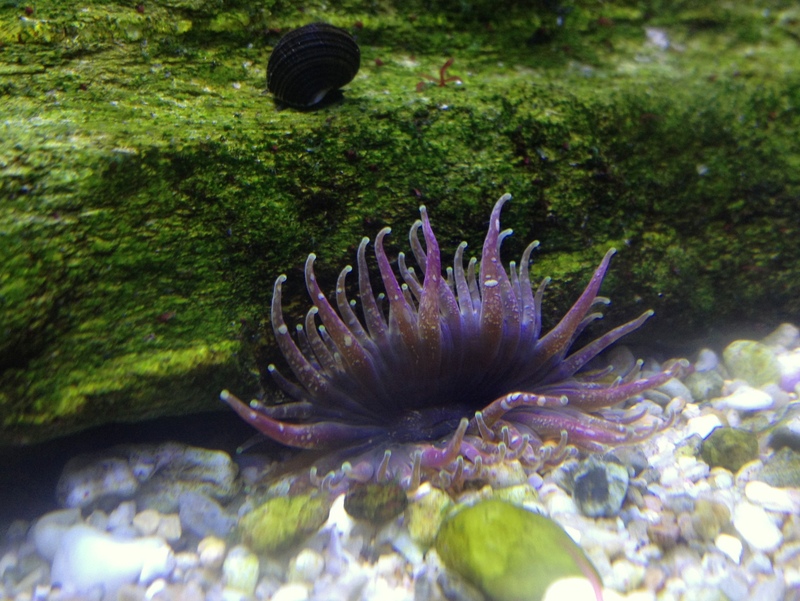 My friend marine biologist Chris gave me a snakelocks anemone that he had cured from its symbiotic algae. A very cool, bright white individual but it has returned to its original purplish colour so it must have taken up symbionts again. The snakelocks I already had, grew big, split into two and grew some more. Interestingly, one of the individuals seems to be turning from the green- to the purple colour variety: So six anemone species in all. I would really like to have some Dahlia anemones, they are very colourful, large, and not uncommon (old pic here). I need to go anemone hunting at a good low tide soon (I have not been out in ages). I had the Chryseminia seaweed growing attached to the Tunze for a while and it worked OK, but it looks a bit messy and so I will remove it. However, I see that little Chryseminia plants have started to grow from the rock in many places (see top picture). I have to give the glass a weekly clean (with a tooth brush) and the rocks have turned a bit too greenish recently. I have noticed however that near the Snakelocks anemones, tufts of filamentous algae have appeared, as the grazers do not want to come too close to their tentacles (this reminds me of a work by an ecologist friend of mine who studies how seedlings can be protected from grazers when growing close to thorny shrubs, I’ll have to tell him of this observation! ).